the Crime of Piracy and Robbery. UPON the 28 Day of March, one Thousand seven Hundred and Ninteen Years ; I Sailed from Dartmouth in England, in the Ship, called, the Mark de Campo, belonging to Ostend, Captain Mathias Garribrae Commander, in Order to make a Voyage to Guinea, and Mosambequie in the East-Indies; and having in some short Time thereafter arrived upon the Cost of Guinea; We hapned to our sad Misfortune upon the 2d Day of June next, thereafter, to be taken by a Pirate Ship, commanded by Captain Davies;* after we had made what Resistance we could, they compelled me and several others out of our Ship to go along with them; and upon our Refusal threatned to puts us immediatly to Death, or leave us upon some Desolate Island, which was nothing better than Death; and I refer it to every ode to Judge, whither or not any Man would have preferred immediat Death to go along with them, while there remained some Hopes of making an Escape, which I and those that were taken with me still endeavoured, and made several Attemps to Effectuat. And I do solemnly Declare as a dying Man, that whatever I did while I was Aboard of the Pirate Ship, was by Force, and upon the Peril of my Life; and that I and these taken With me, are not only Innocent of What is laid to our Charge, but during the Time We Was Aboard of them, I never seed them wrong Man, Woman or Child; and I with several others having at last made our Escape, We Sailed for Britain, with no other Design but to free and clear our selves from the Tyranny of those Pirates, that had detained so fair contrary to our Inclinations; and having landed in the West of Scotland, every Body knew how we have been treated since that Time, and I might have purchast my Life, had my Conscience allowed me to Comply with the Sollicitation of them, who would have had me appear as an Evidence against those that were as Innocent as my self, but I never could think of Saving my Life at so dear a Rate. And for the Judge and Jury I shall not Reflect on them, but do declare that I am Innocently put to Death, as to the Crimes for which I am condemned; And beg GOD Almighty that he may not lay this Innocent Blood to their Charge, but forgive them as I do. And begs GOD may forgive my other Sins, (through the Merits of JESUS CHRIST my only Redeemer) which has been the Cause of this Dismal Death. Into thy Hands, O GOD, I recommend my Spirit. EDINBURGH, Printed by Robert Brown in Forrester’s-Wynd, 1721. Okay, couldn’t pass on that name. * Stewart apparently refers to the Welsh buccaneer Hywel Davies, aka Howell Davis, and this story of hijacking would put Stewart in some pretty august company: it was approximately this time and area that the Davies crew captured the slave ship Princess carrying third mate Bartholomew Roberts, who was pressed into navigational service for the freebooters. Davies was killed in another pirate adventure later that same month of June 1719, and Roberts was elected to succeed him despite being only a few weeks aboard the ship. 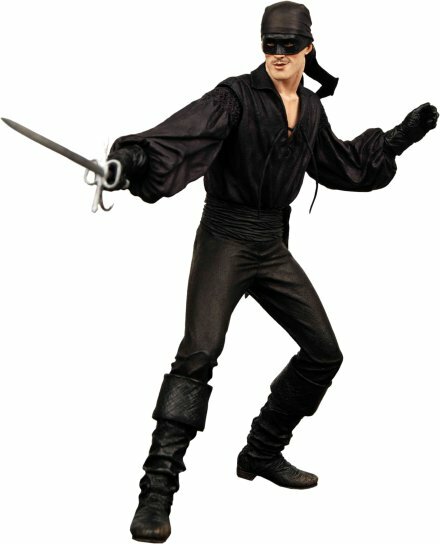 The latter went on to one of the most illustrious raiding careers in the Golden Age of Piracy … the original Dread Pirate Roberts.